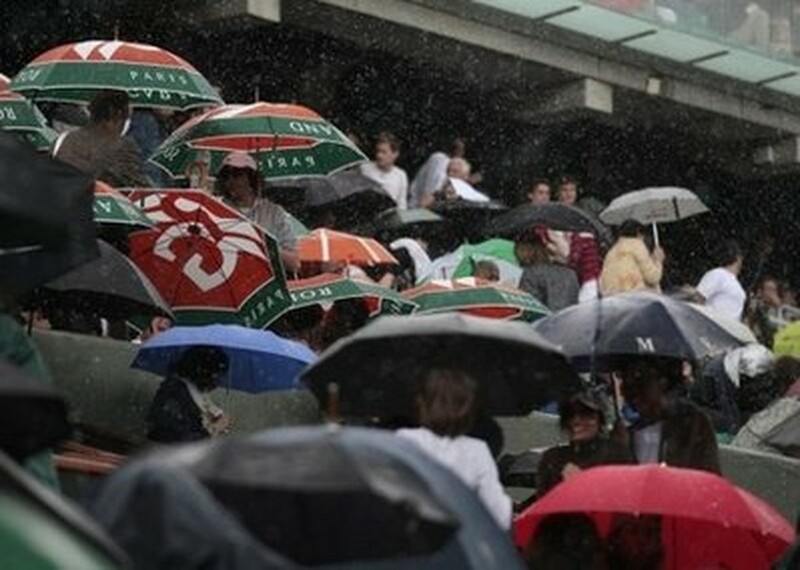 PARIS (AFP) – Heavy rain prevented play on the fifth day of the French Open from getting underway at Roland Garros on Thursday, dealing a blow to organisers who saw over two hours of action washed away on Wednesday. Serbia's Jelena Jankovic, the fourth seed, had been due to open proceedings on Court Philippe Chatrier at 1100 (0900GMT) against Estonian qualifier Kaia Kanepi. Four-time champion Rafael Nadal was also due to feature later in the day, taking on Argentina's Horacio Zeballos. Serbian third seed Novak Djokovic was to tackle Japan's Kei Nishikori while fourth seeded Briton Andy Murray is scheduled to continue his second round clash against Argentina's Juan Ignacio Chela, which was suspended on Wednesday. Women's top seed Serena Williams as well as former number one Maria Sharapova are also on the programme.